"Was Kunst ist, wissen Sie ebensogut wie ich, es ist nichts weiter als Rhythmus." "What art is, you know as well as I, is nothing more than a rhythm." Kurt Schwitters was a member of the Dada movement, a friend of Jean Arp's and Theo van Doesburg (of de Stijl fame). His collages are highly regarded during this time period, reflecting the Cubist and Expressionist styles he dabbled in. In 1937 the Nazis deemed his art part of the Degenerative movement that was sweeping Germany at the time. He moved to Norway, then England, where he died in 1948. 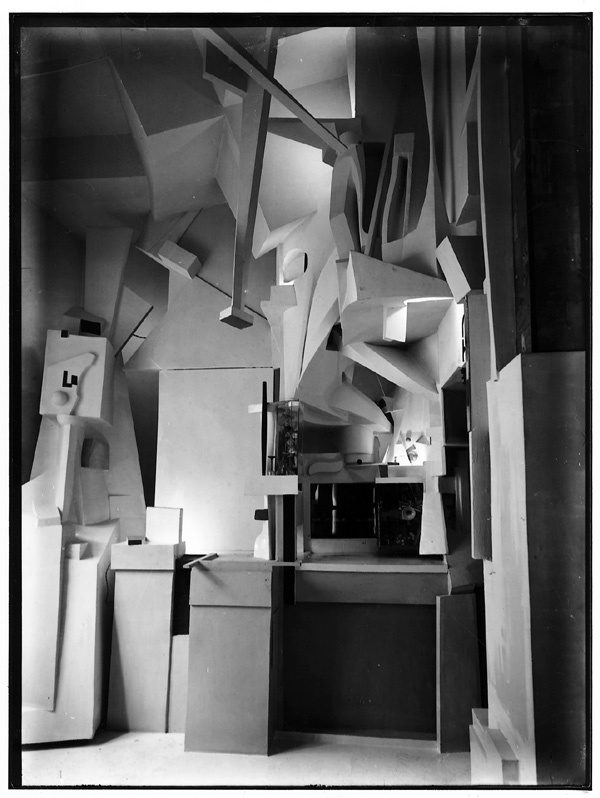 The image above is a scene of Schwitters' Merzbau, an ever changing installation he deemed to be his life's work. Merzbau translates to Merz Building, Merz being a term he used repeatedly in his work (from Commerz or Commerce). Schwitters's work on this piece started to overtake his studio and later other parts of the house, and featured three dimensional space and additions of found objects. Since the work was ever changing, earlier versions of the Merzbau might only exist in the viewer's memory. During the war the first Merzbau was destroyed, and Schwitters started on a second when he fled Germany, but that as well was never finished.